In the 1920s, when aviation was still in its infancy, most pilots navigated using road maps; they followed highways, rivers, and other landmarks that they could see from the air. Few had radios or traveled via the lighted airways, which were equipped with powerful rotating lights set on beacons or towers placed 10 miles apart on the newly established airmail routes. 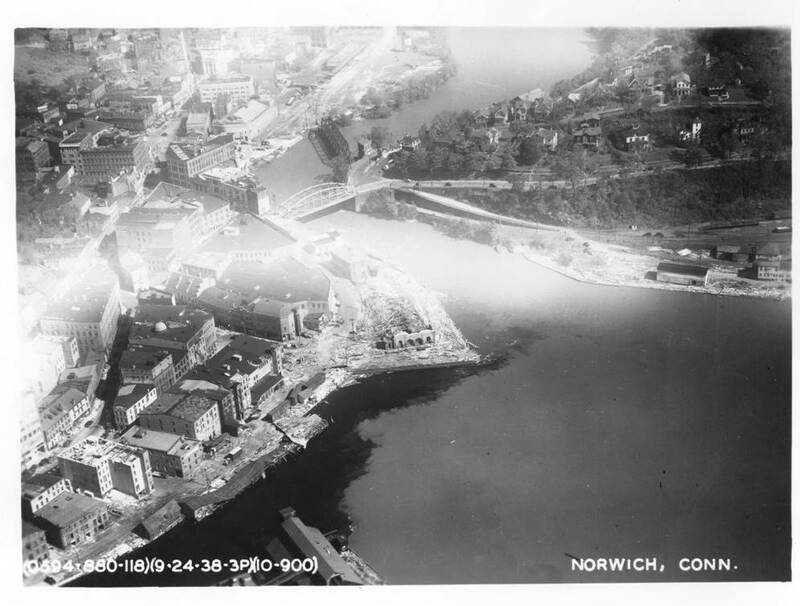 But by the late 1920s a nationwide movement aimed to aid navigation by marking the roofs of buildings with the town name, an arrow pointing to the north, and an arrow pointing to the nearest landing field (if one were nearby). That practice, known as air marking, served pilots well for decades. The Airways Marking Conference of May 1928 in Wichita, Kansas, was quickly acted upon by the US Department of Commerce. On June 14, 1928, the department established the Airway Marking Committee and issued Aeronautics Bulletin No. 4 the following day. The bulletin urged air marking the roofs of prominent buildings and gave recommendations as to the size, color, and content of the markings. The committee was charged with further exploring what was needed to standardize the system. Members of the committee represented the aeronautics branches of the Army, the Navy, and the Commerce Department, the Bureau of Lighthouses, and the National Airway Marking Association. The committee studied the recommendations of the conference and others and conducted test flights at day and night and in different weather conditions to see what worked best. 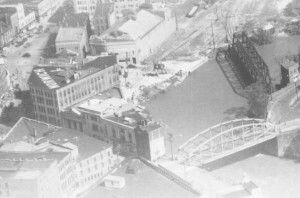 Pictures of marked rooftops are scattered through the aerial photographs collections of the Connecticut State Library. The 1934 aerial survey was flown at 11,400 feet; so in order to see the markings in those images, you have to zoom in close. It is easier to spot an air marking in the photographs taken following the 1938 hurricane, as these were shot from an airplane that was closer to the ground. The American Legion in Connecticut joined the effort. That organization and Major William F. Ladd of the 43rd Division Aviation flew an aerial survey in July 1929 to assess potential sites for markings. The Exchange Clubs in the state also promoted the project. The National Exchange Clubs had adopted aviation as a national project at its national conference in 1928 (when Amelia Earhart was the headline speaker) and began promoting aviation and marking buildings. 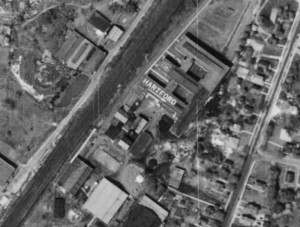 On April 30, 1930, The Hartford Courant reported that 41 Connecticut towns had 66 markers painted on the “roofs of factories, lumber sheds, garages, warehouses, state armories, freight stations and other buildings advantageously located.” Bridgeport had 7 markings, Meriden had 6, and Hartford had 5. 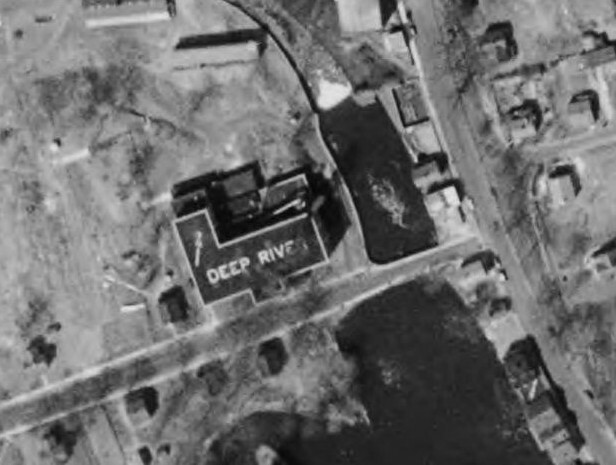 None were painted on highways, but the town of Berlin erected a marker of raised letters at ground level along the Boston-to-New York airway. Five years later, Charles L. Morris, Connecticut’s commissioner of aeronautics, noted in the August 11, 1935, edition of The Courant that while there were more than 350 air markings in the state, he felt the total needed to increase to 1,000. The US Bureau of Commerce recommended markers about every 15 miles. Nationwide, by 1937, about 10,000 had been created. Most were on rooftops, but in some states they were also painted on the highways or built of stone or brick. Works Progress Administration (WPA) workers helped paint or build many markings in Connecticut and nationwide as part of the WPA’s program to improve the nation’s airports. The Boy Scouts of America, the Civilian Conservation Corps, and the organization of women pilots called the Ninety-Nines all participated in creating and maintaining the air markings. The air markings system was promoted and maintained throughout the 1930s, but when World War II began, it was feared that the air markings would be an aid to enemy airships. The federal government ordered that all air markings within 150 miles of the Atlantic and Pacific coasts be erased. 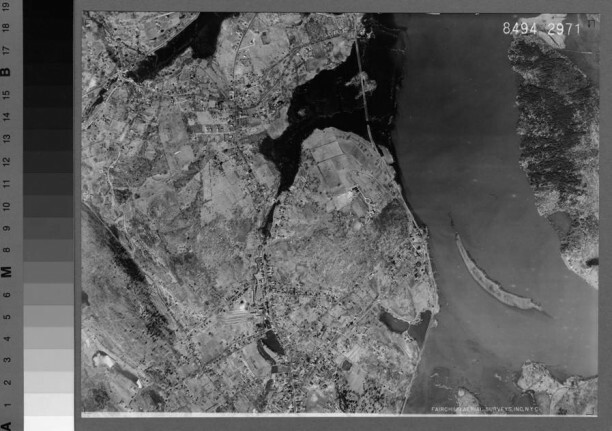 A related World War II security measure was taken by Connecticut Governor Robert A. Hurley, who closed access to the 8,731 photographs from the 1934 aerial survey in the collection of the Connecticut State Library during his term of office (1941-1942). There were attempts to re-institute the air markings system after the war ended, but by then airplanes, airways, and airports had better air navigation equipment. A federal program to revive the rooftop signs was considered in 1948, but at that time only civic groups were working to promote the program. 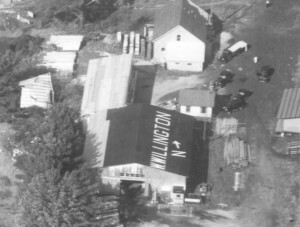 Even so, the Connecticut Department of Aviation reported that as of October 23, 1947, the state had a total of 21 air markings at airports and 79 on private buildings across 70 towns. When federal funds for the program ended in 1947, Blanche Noyes, who headed the air marking division of the Civil Aeronautics Administration after World War II, got the Ninety-Nines involved in fundraising and the effort to continue the air marking program. To this day, local chapters of the Ninety-Nines still meet and occasionally raise the funds and organize the volunteers to re-paint the markers, chiefly at airports, refreshing the markers with the airport names, the compass rose symbol, and other identification marks. The air markings that remain are a reminder of the early days of aviation when a pilot had to trust in his or her sight and natural or man-made markings thousands of feet below to safely reach his or her destination. Jane Cullinane, preservation librarian at the Connecticut State Library, works on digital projects and researched this topic when, in the course of putting the 1934 Aerial Survey of Connecticut on line, she wondered why a business would paint its name on the roof. “History of Aerial Photography in Connecticut.” Connecticut State Library, 2006. Link. 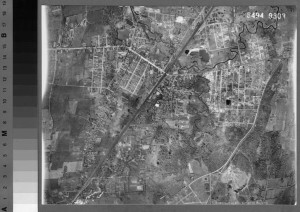 “1951-1952 Connecticut Aerial Photography Index.” University of Connecticut Libraries, Map and Geographic Information Center (MAGIC), 2012. Link. “Aerial Photographs of Connecticut - Database.” Connecticut State Library, 2012. Link. “Neighborhood Change in Connecticut, 1934 to Present - Map Mash-Up.” University of Connecticut Libraries, Map and Geographic Information Center (MAGIC), 2015. Link.